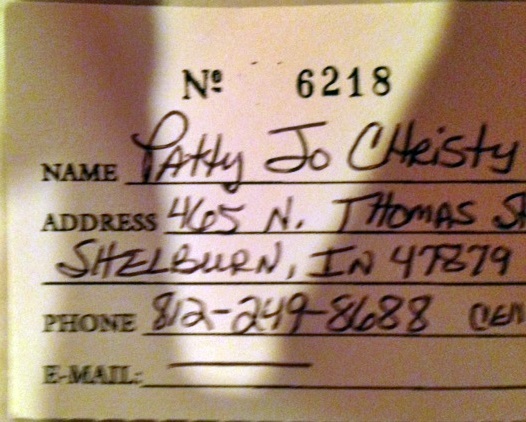 It's worth seeing every photo. 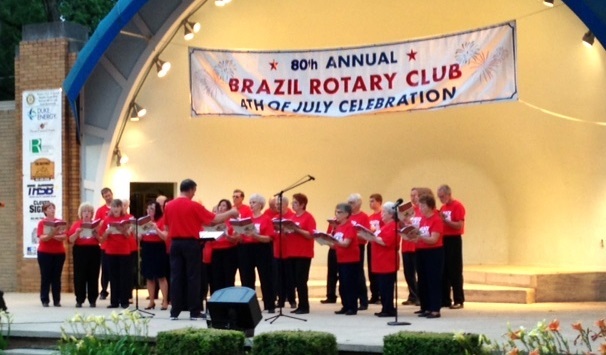 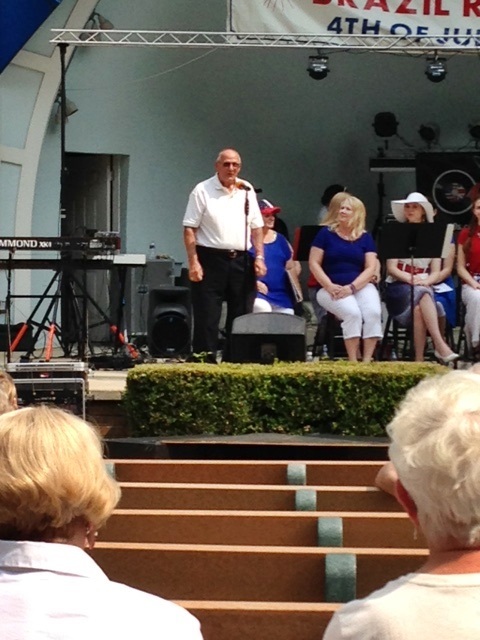 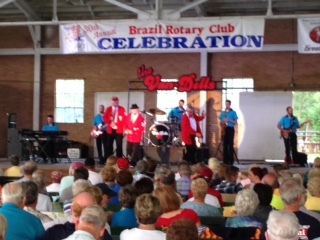 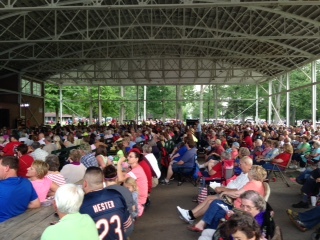 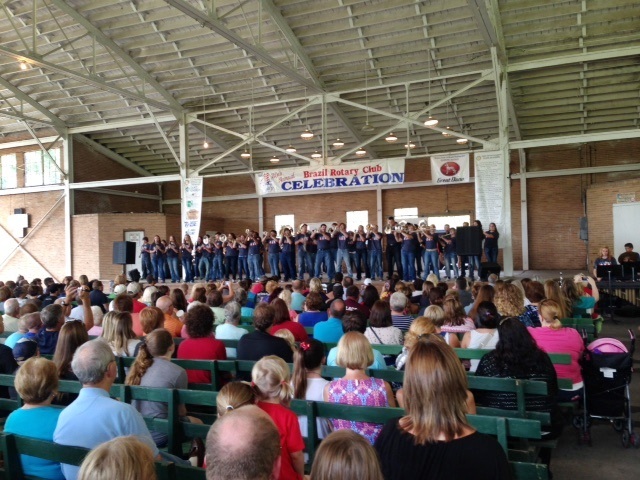 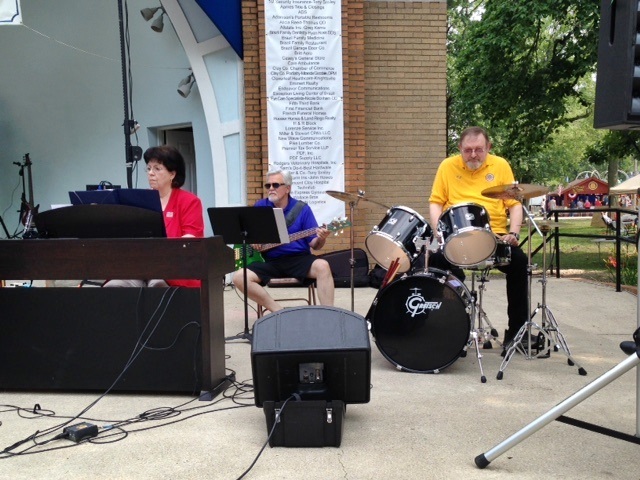 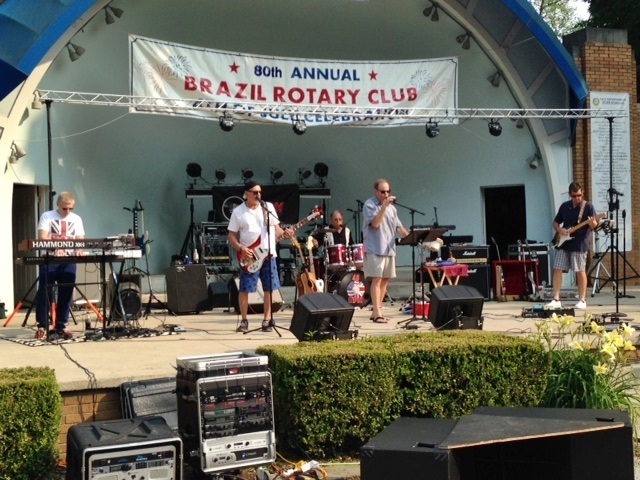 Sunday, June 28-Brazil Concert Band's patriotic program drew over a thousand people in the Pavillion due to the rain. 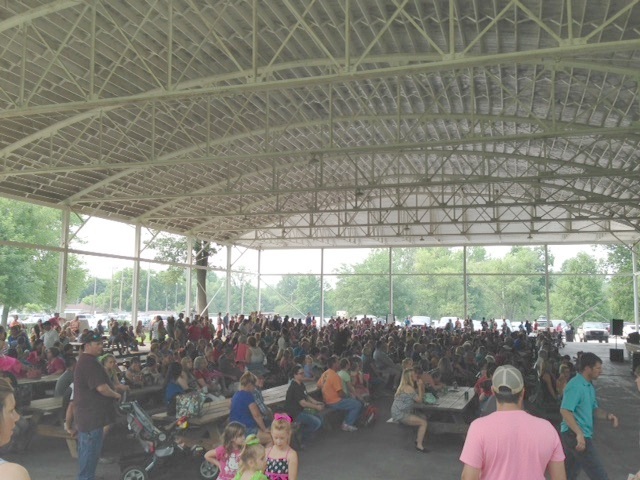 The crowd for the Fish Fry (benefit for the Northview Band) and their performace was HUGE! 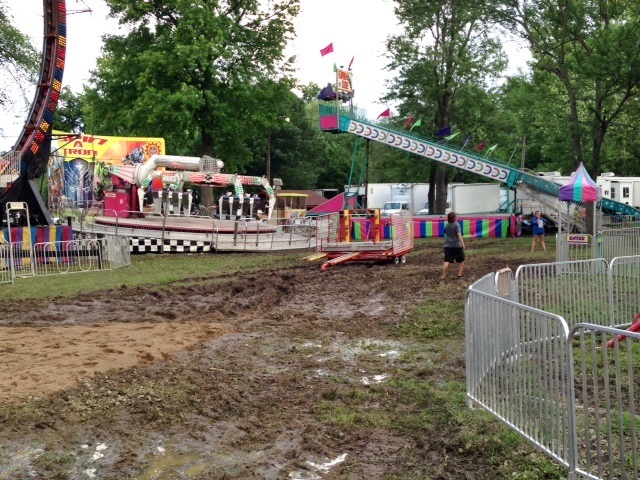 But a sea of mud after heavy rains the week before, prevented ourmidway from opening on June 29. 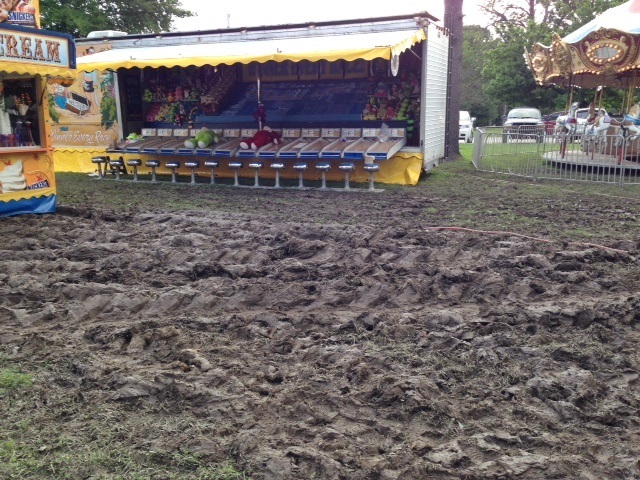 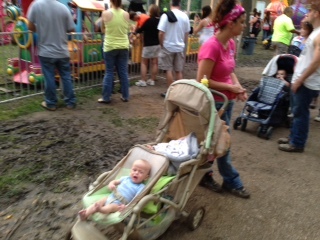 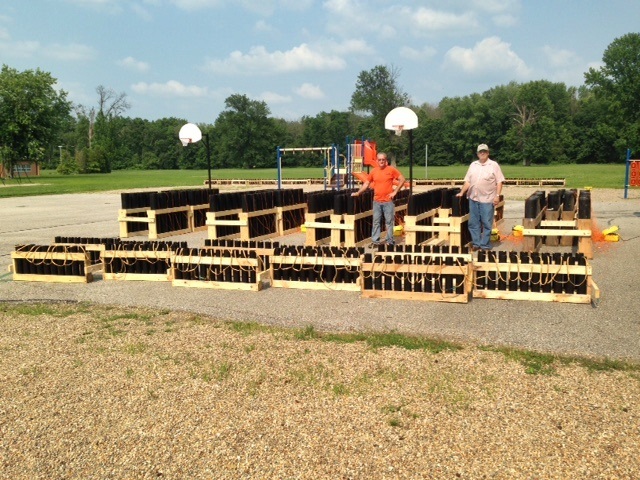 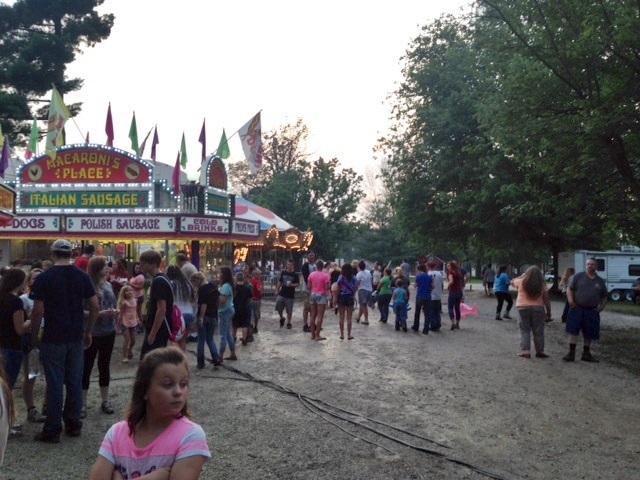 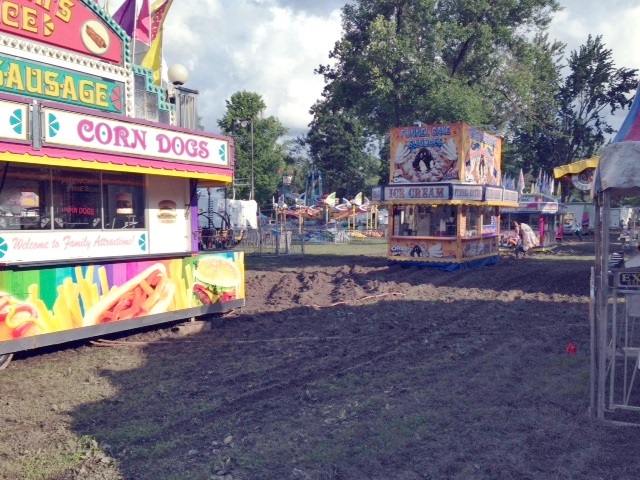 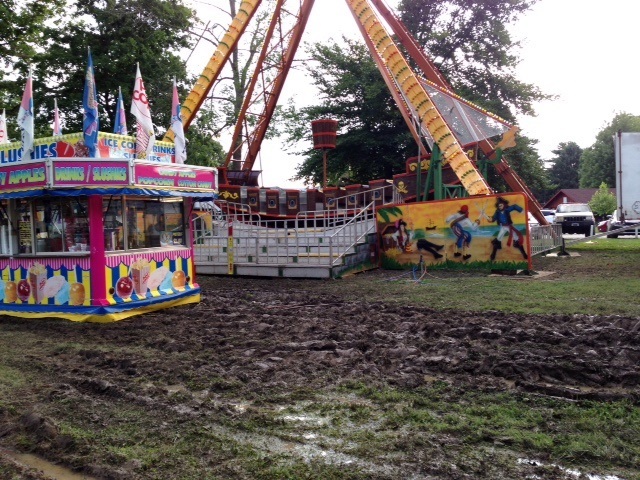 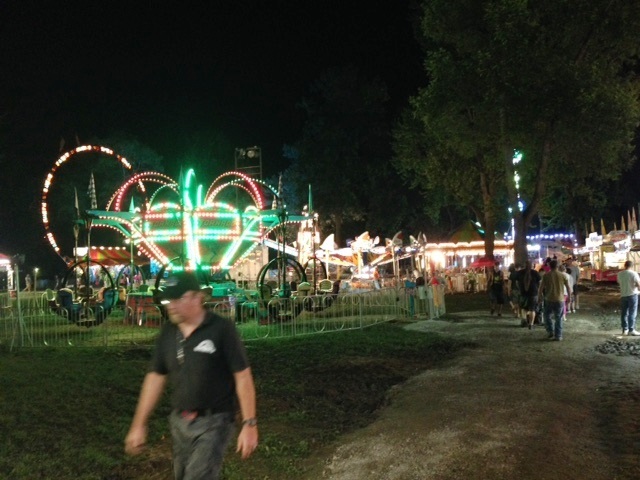 Tuesday, June 30 - Gravel helped the walkways, but still lots of water in the Midway area. 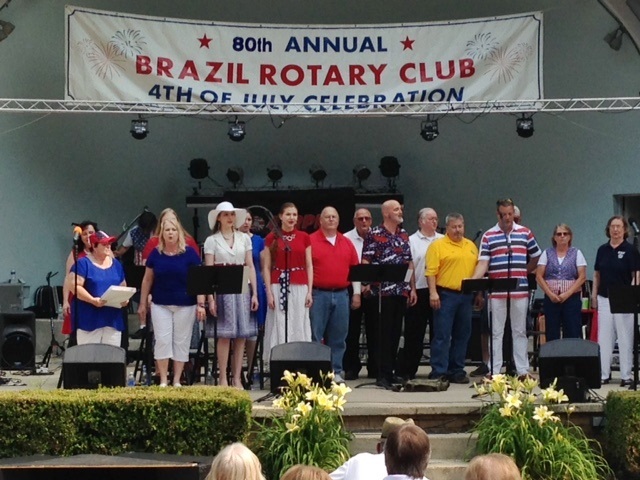 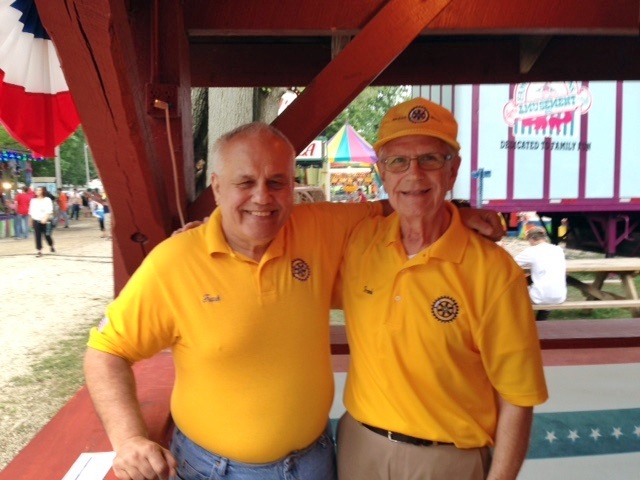 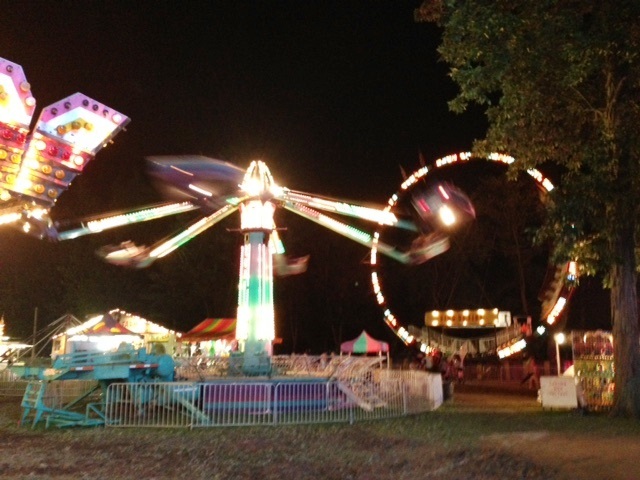 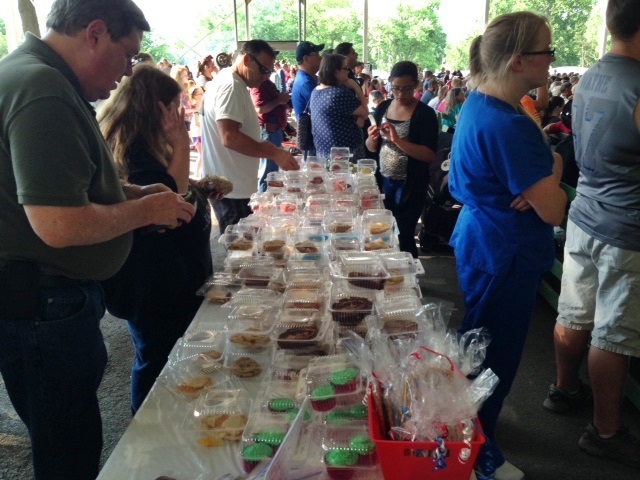 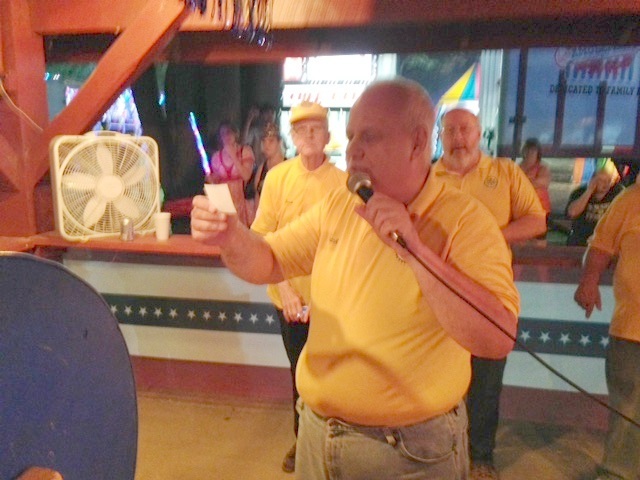 Wed. 7/1-Special People's Day held after our Rotary meeting at Forest Park. 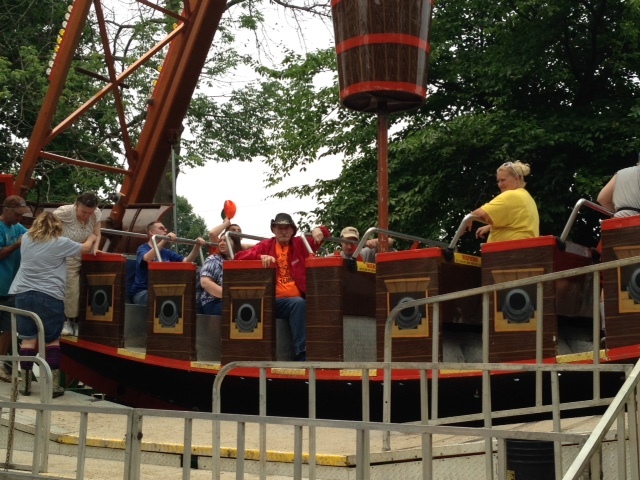 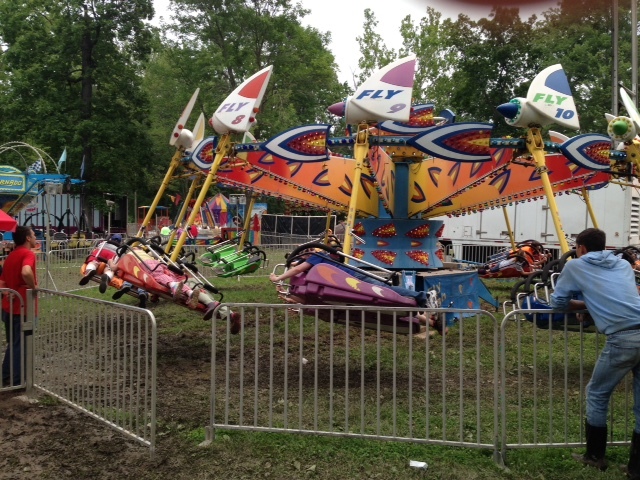 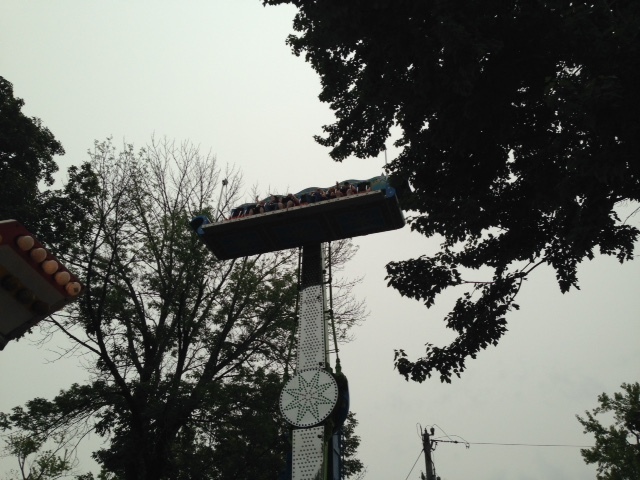 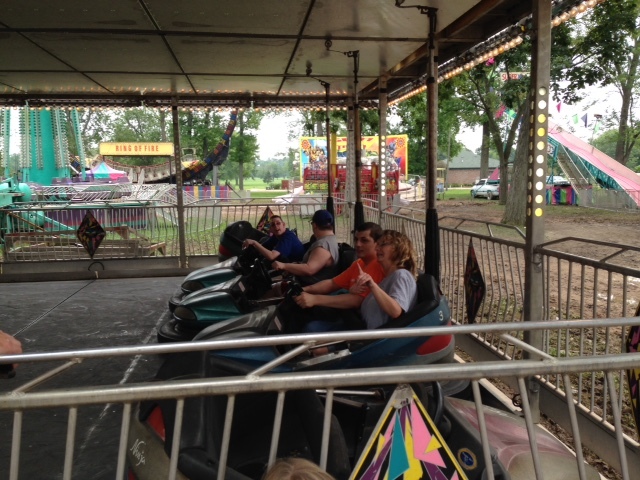 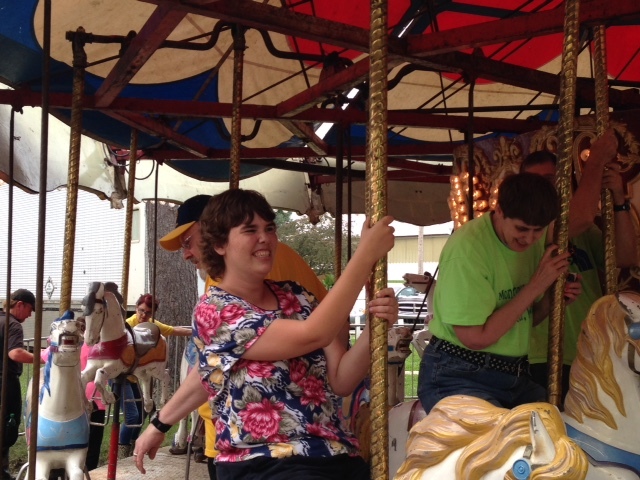 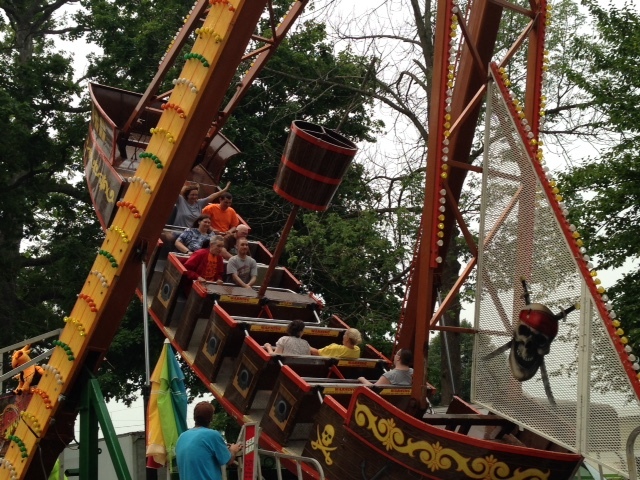 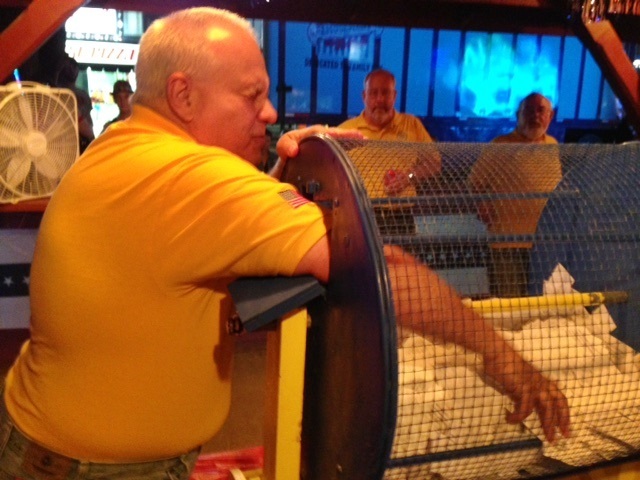 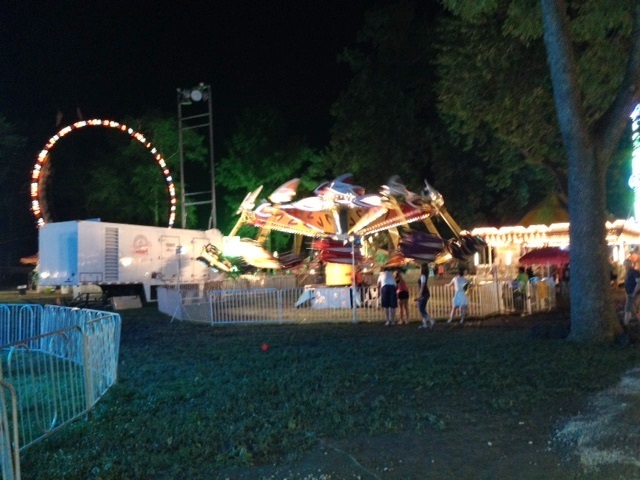 About 50 people with disabilities enjoyed free rides, with the help of Rotarians and Family Attractions Amusements. 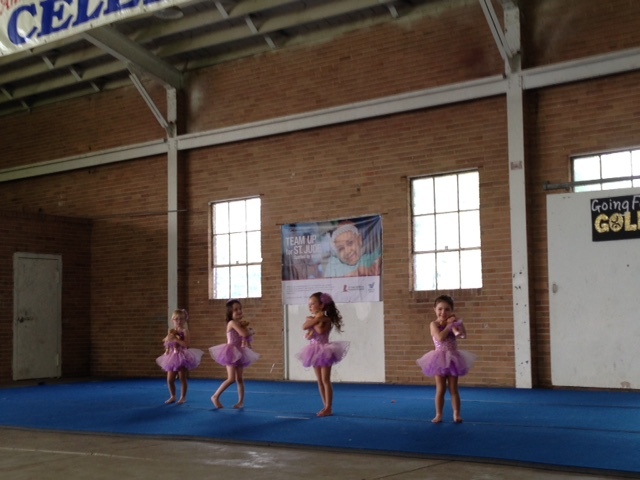 Dancers prepare for their performance on July 1 in the Pavillion. 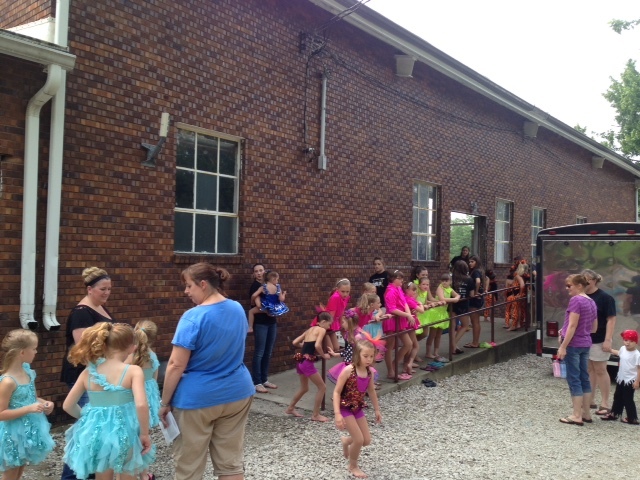 Dance recitals draw a BIG crowd! 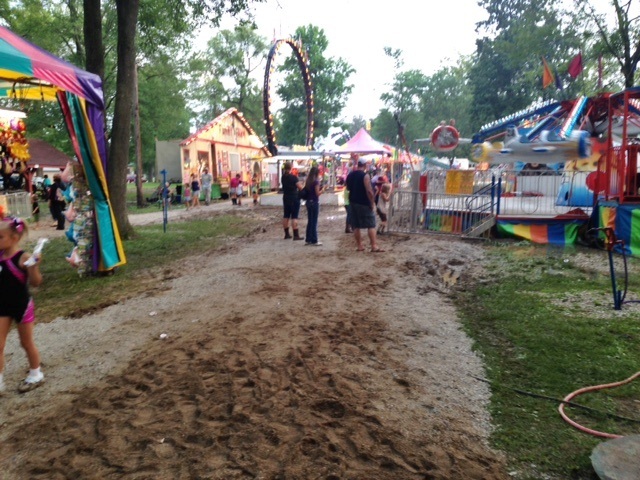 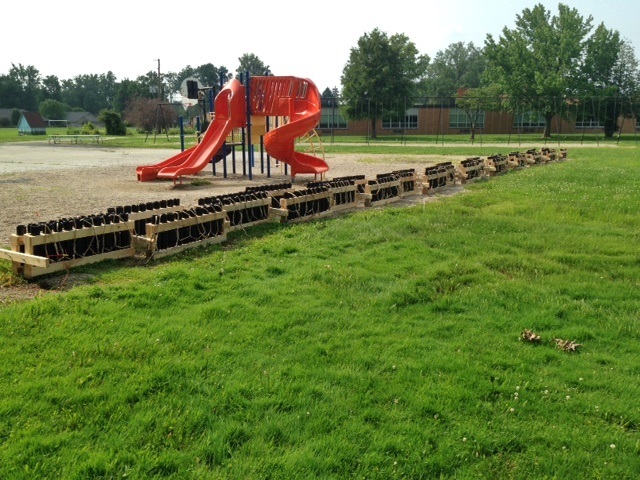 Walkways are much improved thanks to tons of sand and gravel paved over the mud. 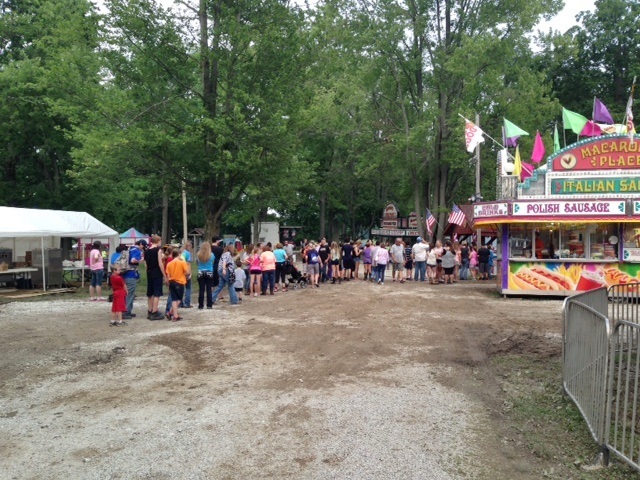 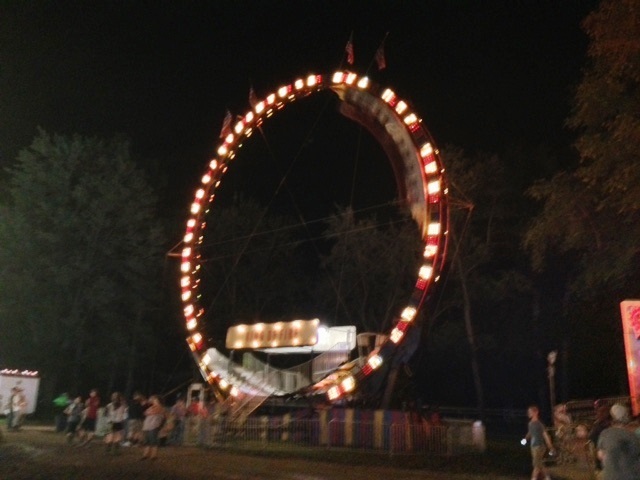 A line of people to buy ride bracelets at about 5:25 July 1. 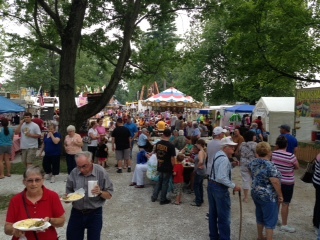 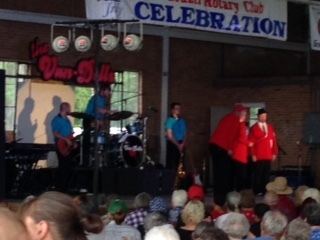 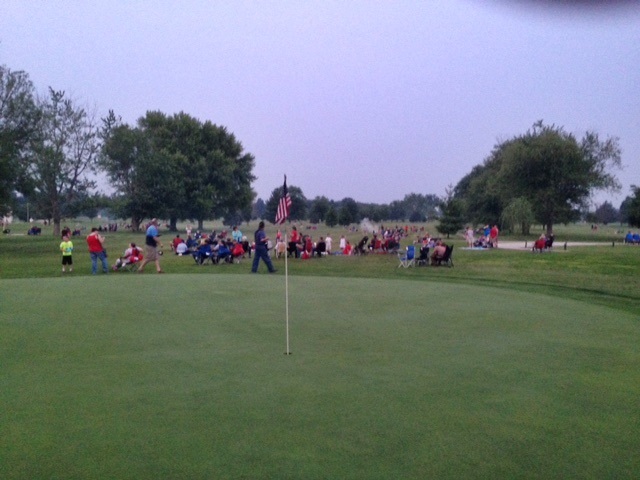 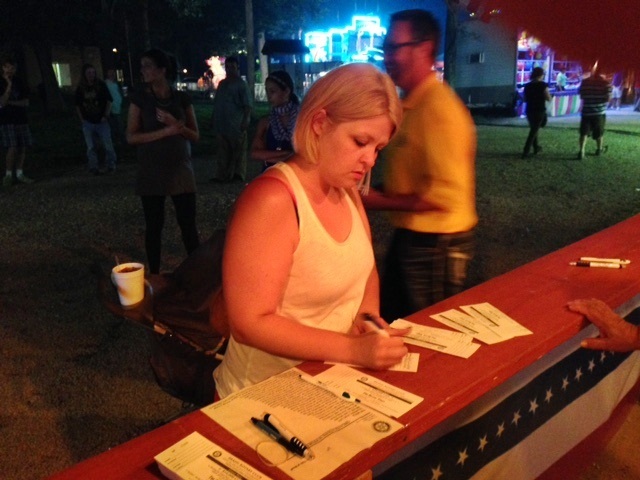 Thurs, July 2 - The Van Dells always draw a huge crowd. 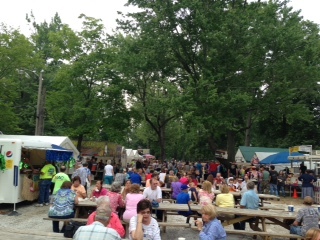 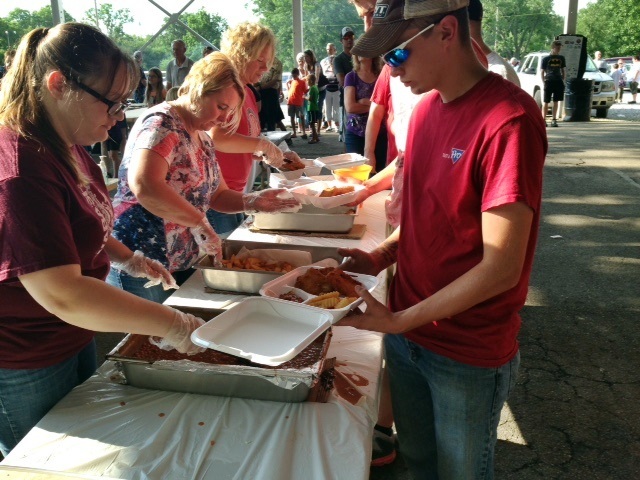 Local groups food booths do too! 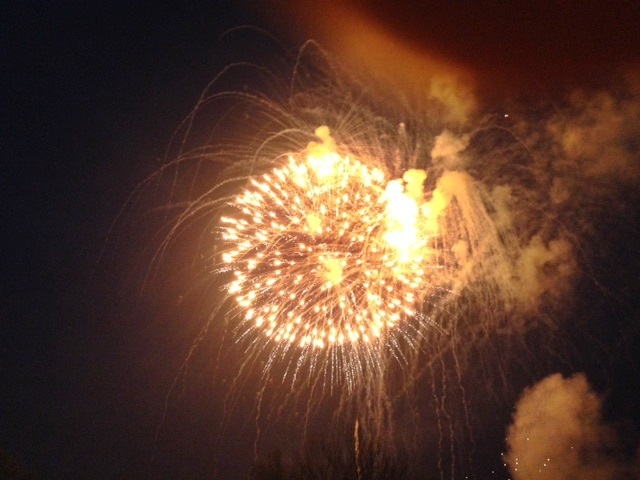 July 4th-the best day of the year! 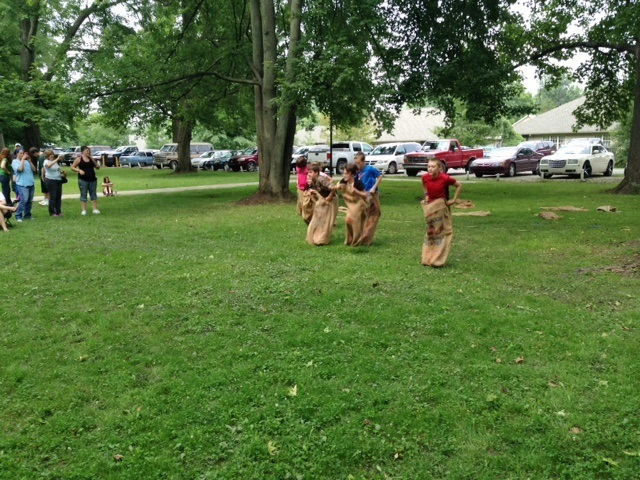 John Thomas memorial sack races in the afternoon. 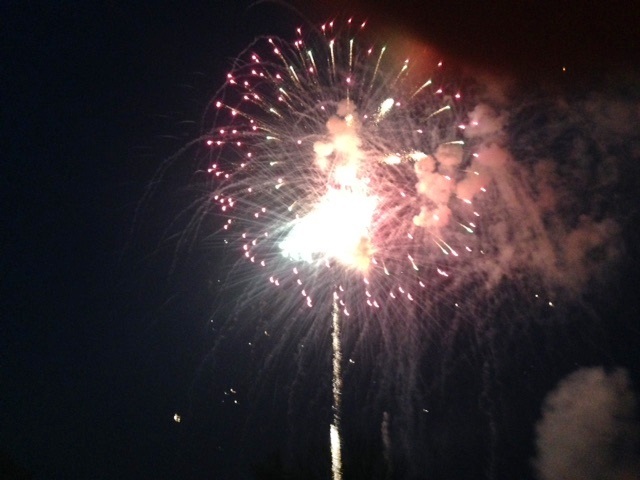 What could be more 4th-of-July-ish than that? 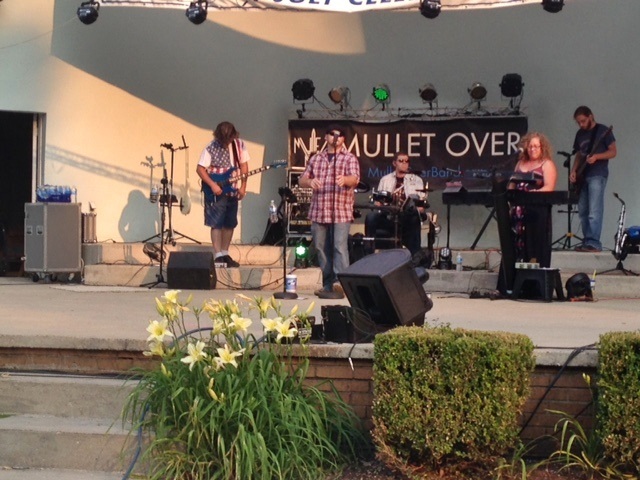 Mullet Over did the 70s-current hits-great band and a great crowd! 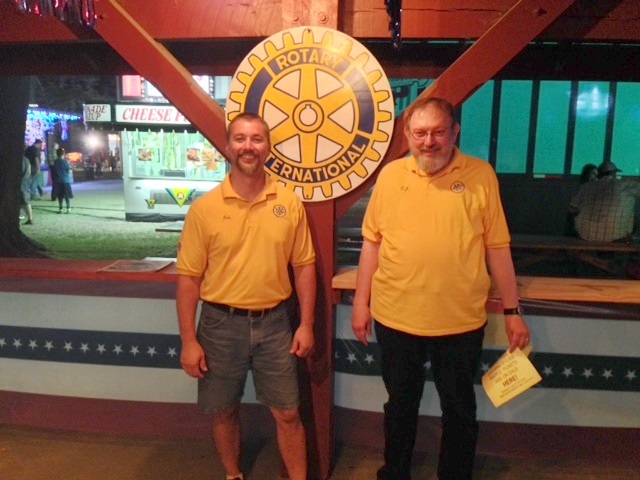 Our 2015 Celebration heros...2014-15 president TJ Sneddon (right) and 2015-16 president Rob Dispennett.